Tens of thousands of years ago, the first woodworkers used bone, rock and other raw natural materials to create their works. Since then, metals such as copper, bronze and iron have greatly improved the quality, durability and effectiveness of the tools in the chest. But, once steel was created, tool making really took off. Durable and resilient saw blades made cutting wood easier and chisels and plane irons could take and hold a sharper edge for longer. How is a woodworker supposed to navigate this mess without help? But, doesn’t that make all products made of iron steel? Not really. Cast iron is also iron and carbon, but its carbon content is too great to be considered steel, and the very high carbon content tends to make cast iron brittle. Wrought iron, on the other hand, has too little carbon to be called steel. Its low-to-zero carbon content isn’t enough to add the strength that we want from steel. Ancient steelmakers used to repeatedly heat iron and hammer out the impurities. It took a lot of heating and a lot of hammering to make steel in this process, but the quality was quite good in the case of Japanese and Damascus steels. Today’s modern processes use a powerful electric arc to heat raw iron and recycled steel in a crucible. Pure oxygen is then pumped through the molten mixture to ‘burn’ off impurities. Elements such as additional carbon, tungsten, molybdenum are then added to control the metal’s characteristics. Other steels have elements added to them so they will be tougher, harder and can hold an edge longer. These are called tool steels, and they come in many varieties. These steels are typically heated, forged to shape, then reheated and cooled rapidly to freeze the crystalline structure of the material. 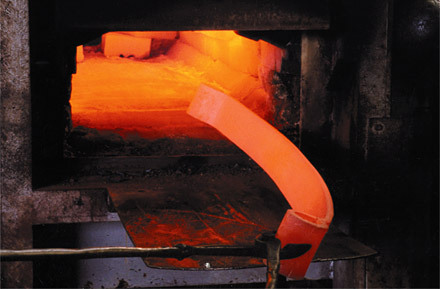 The rapid cooling from high temperature is the essence of hardening by heat treatment. Of course, a discussion about tool steel wouldn’t be complete without a foray into the world of Japanese steels. During the Woodworking in America conference last October, master woodworker Toshio Odate explained that the composition of steel is indicated by a colored paper band wrapped around bundles of steel used to create tools. Hence, the actual color of the steel is the good old silvery-tone you are accustomed to seeing, regardless of the ‘color’ of the steel used to make tools. White steel (steel bundled with a white paper band) is the purest variety, nearly free of impurities. 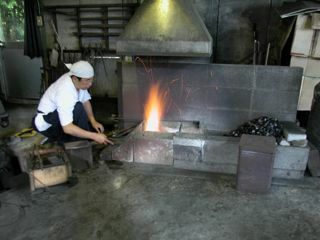 This steel takes much more skill to forge, and the masters with the knowledge are becoming harder to find as they age and retire. Blue steel (yes, steel bundled with a blue paper band) has a number of other elements added to make it easier to work with, but these elements change the characteristics of the tool itself. 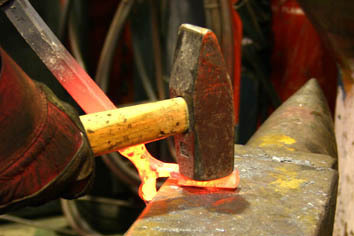 Other varieties, such as yellow steel, are available, but are not typically used to make tools. While this blog entry isn’t designed to be the be-all and end-all of steel knowledge, hopefully it will spur you to find out more about this revolutionary woodworking material. [rjh1]Please make this a link to: www.theperfectedgebook.com. Thanks! Great post, Tom. 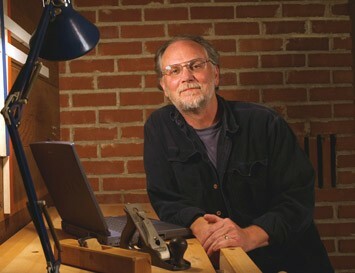 A very informative primer on steel, an under appreciated woodworking co-conspirator. 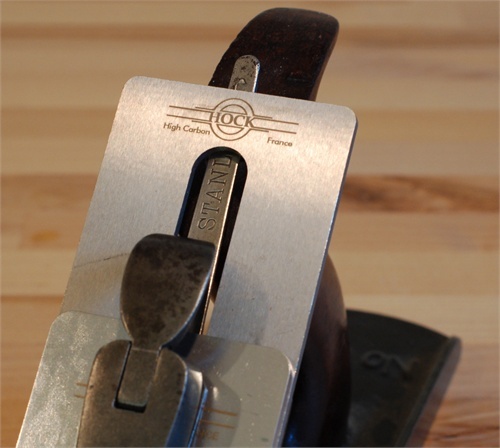 As a Tool & Die maker for about 35 years, this is a good primer for fellow woodworkers. 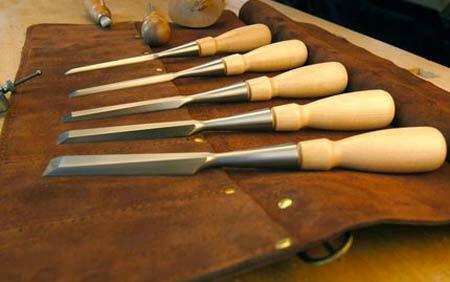 There are several good books on making your own carving tools, and it is really not that difficult. My basic approach has been “no guts, no glory” You make a mistake with wood, you toss it and try again. Same with making a tool, you learn more from your mistakes and it sticks with you. BTW….Retiring 2 weeks from today!!! Oh man, I am knuckle dragging so hard right now. What a great read!